Sleeping in? No, thanks… For us, Saturday starts early with a run, while most people are asleep and the empty streets are ours. Next, it’s a well-deserved and needed double cappuccino, to get some caffeine flowing. Maybe we’ll find a reasonable croissant or pain au chocolat (it’s not easy, even in LA). Most of our meals are home-cooked, but on the weekend we kick back with some shortcuts. Here in LA take-out sushi is a fine option! We found a Japanese market a few miles from home that sells absolutely perfect sushi. No one speaks any English in there, as the staff and customers are Japanese, and usually the only exceptions are us! ;-). 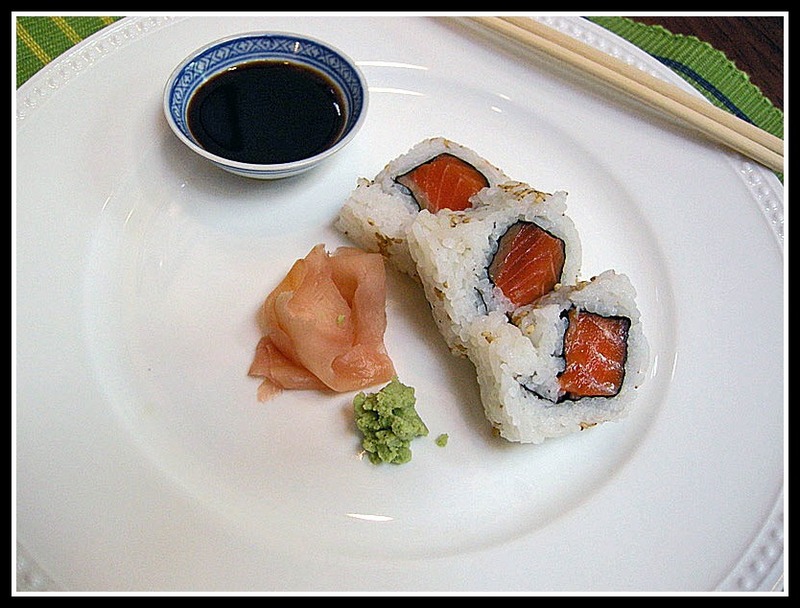 We love their spicy salmon roll, it’s fresh and delicious! If you live in the area and want to visit Granada Market, it is located at 1820 Sawtelle Blvd in West LA. They carry every imaginable ingredient for Japanese cooking, including fresh produce (Kobe beef included). It’s a great, reasonably priced store.